Cyanogen is a name that virtually all of XDA recognizes, and surely many of you have tried their excellent ROMs – perhaps you are reading this on CyanogenMod right now. While the community ROMs that most people get – be it through official sources or unofficial ports – offer some of the best experiences Android has to offer, the company that is behind the managing of the community ROMs as well as the Cyanogen “operating systems” that are built into factory devices from certain manufacturers is quite an imposing entity. Openness is their slogan, but in some ways, their openness is quite different from Google’s. What started as Steve Kondik’s pet-project is now a corporate company worthy of the “Inc” suffix it attained. CyanogenMod is still as strong as ever, and CM12 remains a steadfast-solid foundation upon which many ROMs on XDA build on. Moreover, bringing stock-ish Android – and updated versions of it too – to otherwise unsupported or un-updated devices is a virtue that makes their ROMs one of the top choices for users eager to breathe new life into their devices. At the same time, the company’s goals surpass simple community-based ROMs and developments. Their CEO, Kirt McMaster, has a truly corporate mindset. His outspoken remarks against the competition have given him a reputation that made many of us not too comfortable with him at the head of such a large part of Android’s custom ROM development. Nevertheless, their game-plan of expansion is markedly set on one goal: taking over Google’s Android. Cyanogen prides itself on their ROM, and the “OS” moniker at the end of their manufacturer variant proves that they see it as something a little more transcendent than that. At the end of the day, though, Cyanogen is building upon Android’s open-source foundations. Their ROMs are largely supported (and developed) through communal input sourced from various internet sub-communities, and XDA’s forum developers do depend on their ROMs to quite an extent plenty of times. So developers rely and form Cyanogen in a symbiosis which largely favours the corporation and more so than the voluntary workers – but Cyanogen’s relationship with Google’s Android is a bit more parasitic than a clear-cut symbiosis. At the same time, the Cyanogen OS and its humbled named CyanogenMod S predecessor are constructed, in large parts, by voluntary developers. This work input by volunteers is offset by the fact that the resulting contributions help shape CyanogenMod which in turn fuels further independent development for those who want to fork it into their own ROM. But the additions do get into Cyanogen OS and the corporate firmware releases that are to be featured in manufacturer devices. In this sense, the war machine of Cyanogen is one that is not a full product of theirs, as their platform is neither fully built by their hired engineers nor from the ground up given it is dependent on AOSP foundations. This is perhaps a brilliant approach, as OEMs outsource the software tasks to Cyanogen which in turn uses their strong developer support as backup – thus, the responsibility trickles down to the volunteers (to some extent). What is costing Cyanogen a lot of its reputation amongst Google purists is the f act that their approach to expansion is loud and clear… but mostly loud. Cyanogen Inc’s CEO Kirt McMaster is widely regarded as one of the most outspoken characters in the industry, and his fierce campaign against Google and the rest of the competition can be summarized as sassy. There are many examples you can find – some even dating before corporate Cyanogen – but remarks like “Samsung couldn’t build a good OS if they tried” or how Samsung will be “slaughtered in five years” are still ringing in people’s ears after weeks. The irony behind McMaster’s comments is that they haven’t built a complete operating system, and Samsung’s sales for the S6 are looking better than ever right now. When it comes to business strategies, however, they also found themselves in controversy. Cyanogen’s partnership with OnePlus saw an extremely rocky divorce given OnePlus One sales in India were forbidden as long as they came with CyanogenMod, as Micromax had exclusivity for the software in that region. The shady part was the way the agreement between OnePlus and Cyanogen ended, and the reasons behind it – we covered the case in detail back then. Those kind of business deeds would make you think companies would be turned off from doing business with Cyanogen, yet so far in 2015 they have gained much more notability and funds than ever before. Cyanogen’s bold endeavor is not one they can fulfill alone, even with the support of its millions of users. As such, they have relied of investors from different firms and companies that have taken interest in this rogue Android ROM maker’s end-game. They have had funding rounds where they acquired more than $100 million dollars from different players. The big news not too long ago was that Microsoft had been said to fill in as another patron of Cyanogen in a $70 million dollar round, and back then we had discussed the possible implications of such an agreement. Despite the extensive speculation, however, the deal was never finalized but they did not dismiss the possibility of future partnership in some other form. Cyanogen’s vision of an open (even more open, that is) Android makes sense to many, myself included – an Android where Google services aren’t the default means that the user has greater freedom as to what applications they can use for dialing, or sending text messages by default, or easily download applications, or the like. But with all these major players trying to get their share of Cyanogen’s favors, it is obvious that it won’t be as big a “free market” as we’d like if there are obvious favoritisms. Think of it as the “lobbying” of the mobile industry. The fact that applications like Spotify and search engines like Bing come pre-installed in Cyanogen devices shows that, like all things corporate, money drives the developments. And an “even more open Android” can easily be an Android with less freedom once corporate monopolies kick in and try to further expand. What Cyanogen would ultimately need to expand their reach and fulfill their goal is an extensive line-up of devices from OEMs running their Cyanogen OS software. There’s clear demand for Cyanogen ROMs on phones, given that (allegedly) 50 million people went through the trouble of installing CyanogenMod on their Android devices. According to Forbes, some analysts predict that Cyanogen phones could amass up to a billion users once the plans go through their motions – this is more than the total number of iPhones sold to date, so I personally can’t comprehend how they’d do that. But then you look at their hardware partners and the figure makes a little (and just a little) more sense. Micromax is one of their strongest allies, as seen in the controversy that surrounded them. Their YU line of phones (with devices like the Yureka) come equipped with Cyanogen, and Micromax is a notable player in emerging markets like India. The cheap-but-good approach of this company is a great way to get Cyanogen’s name out there, as an emerging market had high adoption rates on first-generation customers that could grow used to Cyanogen software. Like Google (and their Android One), Cyanogen is targeting grounds that are still fertile for mobile expansion. More over, a Google-free OS would make more sense in emerging markets where Google services are nowhere near as developed as in countries like the U.S. The other big partner they have is Blu which is a major player in Latin America; the resulting product will come without Google Apps marking another step forward in Cyanogen’s plan. Ultimately, though, what will get them sales is their software reputation. The name Cyanogen is already associated with a good alternative ROM not just to Google’s, but to all Android ROMs. People have switched from OEM ROMs to Cyanogen more so than from Stock Android, so the demand for Cyanogen software is varied and is all over the world. All their years of community management, ROM developing and supporting insane amounts of devices means that they have the consumer satisfaction and recognition needed to embark on such a task. It is truly shocking that I am writing about a Cyanogen that is valued at $1 billion dollars, when just a few years ago I was figuring my way around flashing their ROMs on my Androids – back when they were still the equivalent of a garage band. Now they are rock stars in the custom ROM world, and their plans to transfer that fame into the actual industry are not only smart, but are also reinforced by the support of extremely powerful allies and loyal fans. A Cyanogen OS could turn out very favorable for us consumers, but also detrimental to plenty of aspects that make Android an experience we love. While I do agree with their sentiments of Google having too much control over Android, the Google services are an invaluable part of many enthusiasts’ smartphones. But while Google does hold too many keys to possibilities in the space, their reign over the OS proves beneficial to us and the future of the platform – at least so far. With the partners that Cyanogen is involving itself with, their “open” Android could be a masquerading corporate scheme. But the raving reviews of CyanogenMod S on the OnePlus One, plus the amazing contributions to Android development with their regular CyanogenMod offerings are still something to respect. Let’s not forget that while Cyanogen Inc encompasses the corporate and communal aspect of the software, the core of our respect as a site of mostly independent developers should go to Cyanogen volunteers. 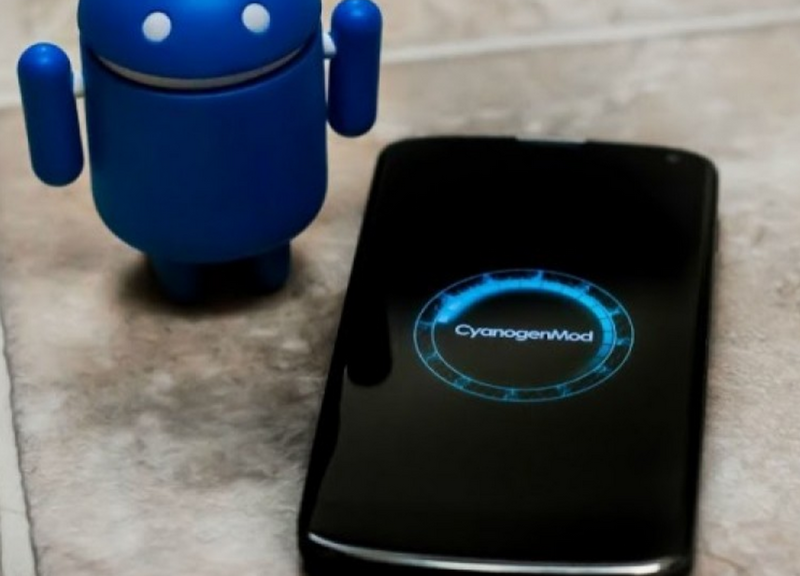 That being said, CyanogenMod remains a staple of custom ROMs and it would not be what it is without the programmers and managers of Cyanogen Inc. If Cyanogen wants to take a shot at Google, they can go ahead; the search giant will put up a fight. To be frank, I hear a lot of worries about Cyanogen itself that I think should be more focused on who they get in bed with. That being said, the way the company is being run is certainly controversial, and it is understandable why some might look down upon them now. The outcome of this battle might surprise all of us for better or worse, but as an Android fan I know this: it’ll be one hell of a ride, and the way this crusade will unfold is bound to give us a lot to look forward to. What do you think of Cyanogen’s latest developments as an industry player? Sound off below! Feature image photographed by Chris Sewell.